The City of Edmonton (“the City”) has seen significant growth in recent years. In fact, the census metropolitan area of Edmonton has outpaced the national growth rate 5 years running, seeing a 13.9% growth in its population from 2011-2016. But as the residential and business populations of Edmonton’s neighborhoods increased, the total number of complaints filed with the City grew as well. The City fields a staggering number of complaints each year from both residents and business owners, covering a wide range of areas. From 2013-2015, a total of 131,907 complaints were filed about issues such as pets & animals, litter & waste, potholes, construction and noise, to name a few. 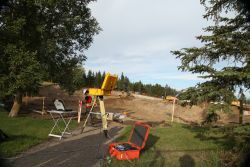 Directly correlated to Edmonton’s growth, is an increase in the number of active construction sites and general traffic, which are sources of vibration complaints in particular. It’s the responsibility of the City to verify each complaint, and when necessary, take remedial action. 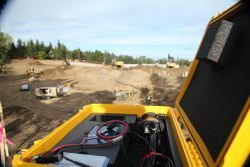 As aesult, hundreds of ground vibration tests are conducted each year to identify sources of excessive vibrations at active construction sites or during normal vehicular movements. 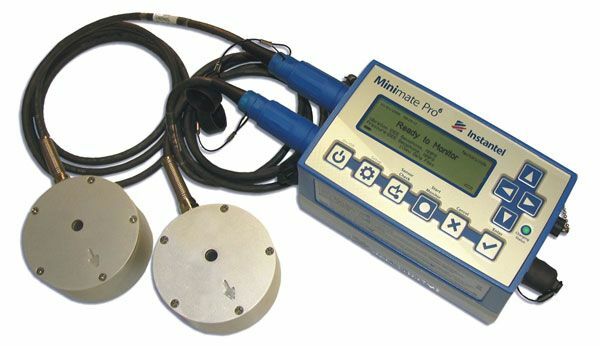 An Instantel Minimate Pro 6 Seismograph was used in these ground tests to confirm the presence of vibrations in a given area however, the device itself could not identify the source(s) of the vibrations. To compensate for this lack of ability to confirm the cause(s), the City would send a staff member to remain on location and physically record vibration sources throughout the day. With the sheer volume of annual vibration-related complaints, this physical process was far too costly and too onerous on City employees to keep up with demand. The City came to Campbell Scientific Canada (“CSC”) in search of a solution that would allow them to more efficiently identify the cause(s) of excessive vibration. CSC recommended the CC5MPXFE as the best answer to their problem. The CC5MPXFE is a high-resolution digital camera that’s fitted with a fisheye lens, allowing it to capture hemispherical images. 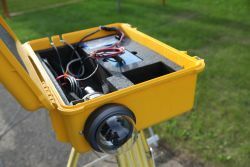 This camera has the ability to be triggered based on an external signal, such as the alarm the Instantel outputs, making it a perfect fit to work in conjunction with the Instantel Seismograph. Plus, it’s housed within a rugged environmental case that can withstand the harshest of conditions. A typical ground vibration test would see the 2 Instantel sensors placed in the test area; one near the road or house (depending on the complaint), and the other near the property line. The readings from each sensor are compared and if their readings are above a pre-established ‘acceptable’ limit, an alarm triggers the CC5MPXFE to capture an image. In searching for a suitable solution, CSC had to take into consideration that any potential equipment needed to be compatible with the Instantel Seismograph, have the ability to physically capture the source of vibration as it occurred via a remote trigger, and be rugged enough to withstand the environmental factors of Edmonton’s construction sites, such as temperatures ranging from -30°C to +30°C, dust and dirt accumulation, etc. The CC5MPXFE was chosen not only due to its remote triggering capabilities, but also for its rugged enclosure and the fisheye lens option which allows the City to see a much wider view of the road where the vibrations are generated. Now, the City can better address resident complaints with remedial measures that directly relate to the source of the vibration disturbances. New census data: Edmonton-area population surges past national growth rate. CBC News. Which Edmonton ward files the most complaints with 311? Global News.